We are delighted to be partnering with Subliminal Projects in Los Angeles to present NEVER SAY DIE! : Celebrating 50 Years of Black Sabbath. 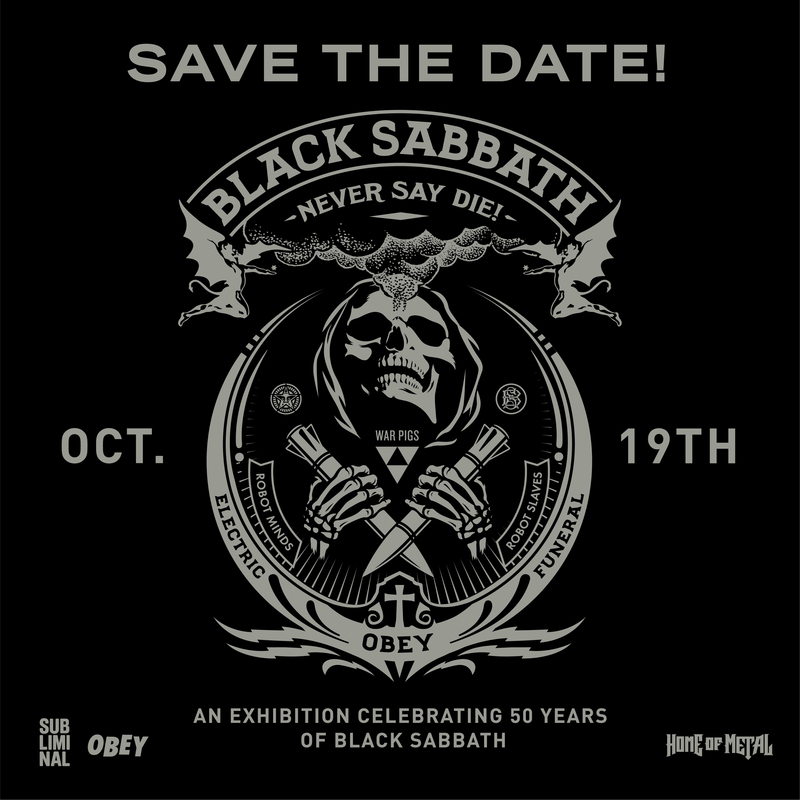 This immersive showcase features portraits from the Home of Metal Black Sabbath fan archive, historical photos, ephemera, and memorabilia, and a group art exhibition. In conjunction with the opening of NEVER SAY DIE!, Subliminal Projects has teamed up with iconic Los Angeles rock venue The Echo for a special concert following the opening reception. 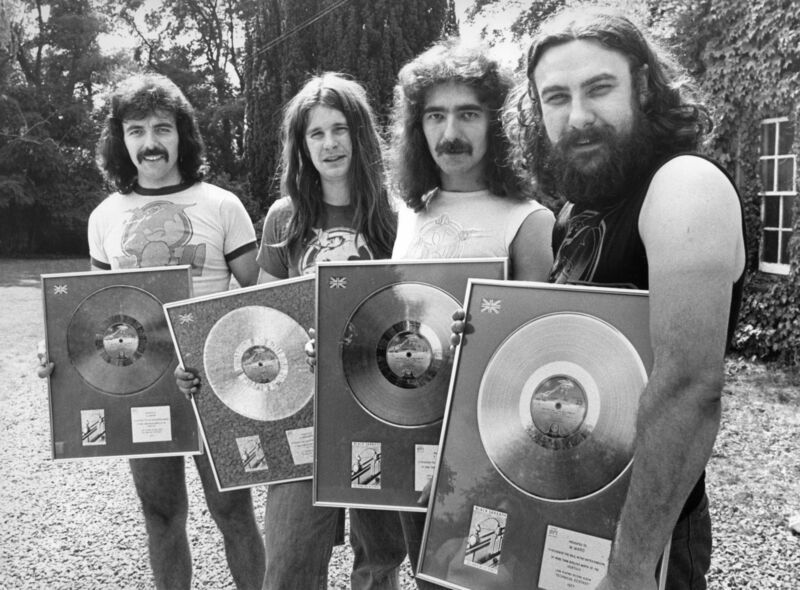 Formed in Aston, Birmingham England in 1968 and cited as the pioneers and godfathers of heavy metal, Black Sabbath was founded by Tony Iommi, Geezer Butler, Ozzy Osbourne and Bill Ward. From humble beginnings, Black Sabbath created a new sound, a new aesthetic, and a new culture – Heavy Metal. Fifty years later we celebrate the band, their impact on music and the fans that turned Black Sabbath and Heavy Metal into a global phenomenon. The exhibition aims to showcase how the music of four working-class men from Aston, Birmingham UK captured the hearts and minds of fans globally and inspired an entire genre of music, art, culture and community. 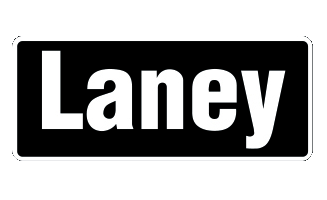 Home of Metal is project created and produced by Capsule and is generously supported by Arts Council England and Laney Amplification. For more information, please visit homeofmetal.com or follow them on Instagram (@homeofmetalUK ).